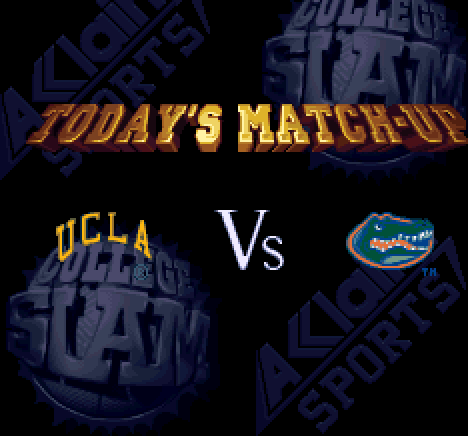 In 1996, Acclaim decided to go back to school and released College Slam for all major home and handheld systems. 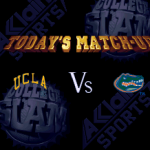 College Slam seems to be a more polished, albeit college themed, version of Acclaim’s smash hit NBA Jam. 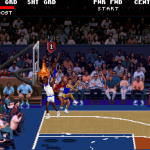 With NBA Jam you will probably remember shooting three pointers from just about anywhere and slam dunking from half court, all of which is still here in College Slam, as well as a few added features to increase the longevity of the game. Sadly, it seems since this game didn’t have the big names that it’s predecessor did, it didn’t translate with the audience as well as Acclaim may have hoped. 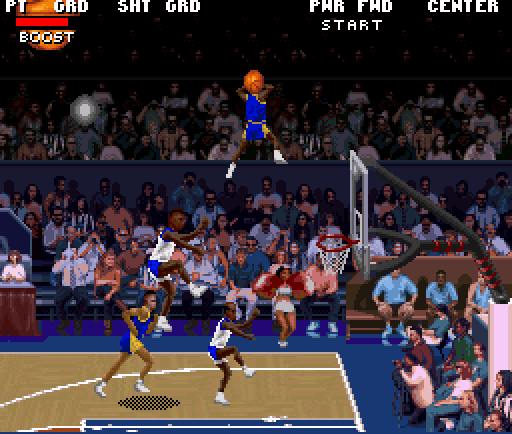 College Slam’s game play is identical to NBA Jam. 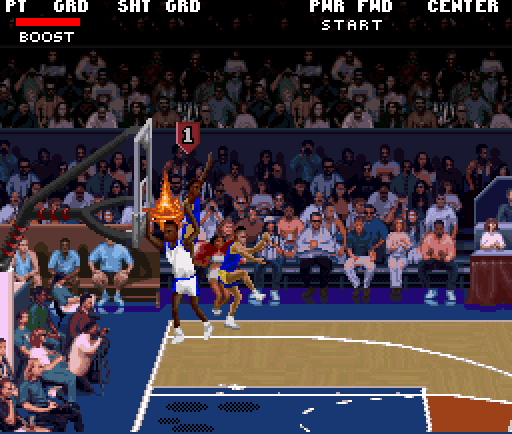 You still have turbo to boost your player around the court for a short period of time before needing to recharge it, you can still shoot the ball from anywhere, steal the ball, push the other players over, elbow them and even catch fire. 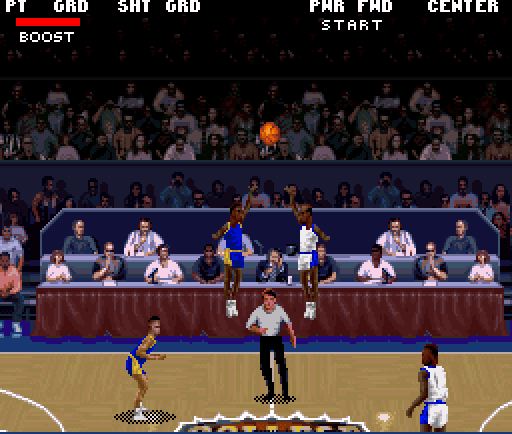 But unlike NBA Jam, you can call a time out at any point you possess the ball and substitute for 1 or 2 fresh players. 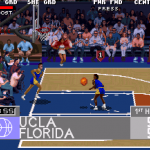 College Slam also borrows from NBA Jam Tournament Edition with it’s more fluid movement and of course the tournament mode, as well as offering a more upbeat announcer who has more dialog than he did in NBA Jam. 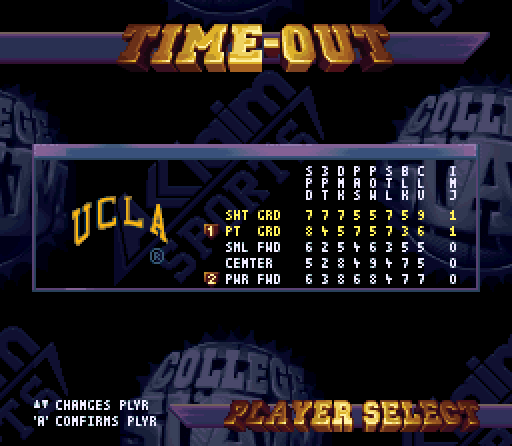 As you would expect, College Slam follows the college rule of 2 halves instead of four quarters. 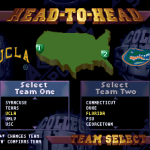 To get started, you pick your team from a list of over 40 colleges, then select any 2 of 5 positions, as opposed to NBA Jam’s strictly 2 players per team. 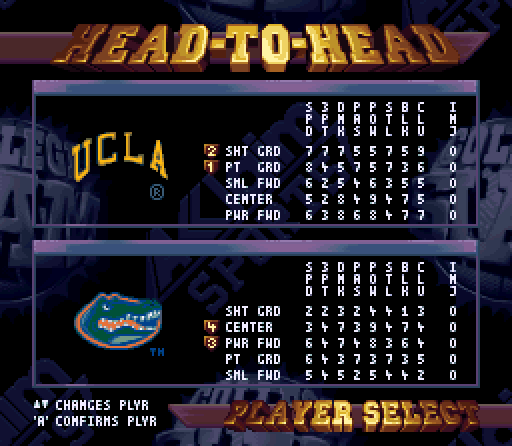 With College Slam there are no names, simply different stats for each position, which I like to think of as an advantage for re-playability. 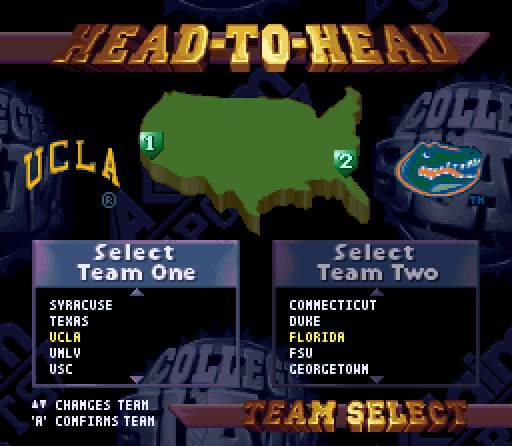 No matter when you play this game, you can just imagine you’re controlling your favorite college player (even if they weren’t even born when this game was released!) 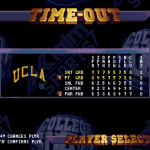 instead of being stuck with outdated rosters. 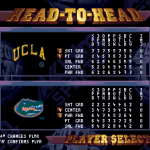 From there you go to the Tonight’s Match-Up screen, where you can enter codes as the announcer tells you which 2 teams are playing and you prepare for the opening tip off. 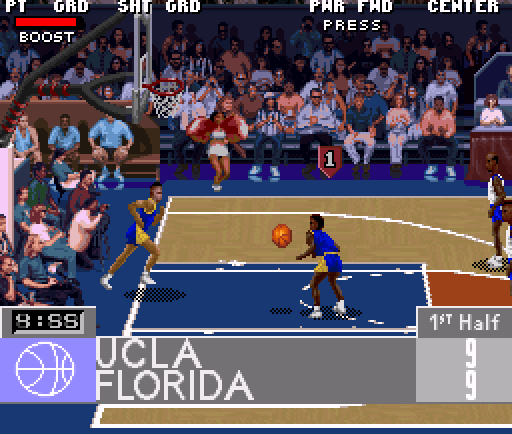 Some people may prefer NBA to college, but in my opinion this game shined it’s whole career, but never made it to the draft. I own a complete in box set of this game as well as another cartridge strictly used for playing the game. Certainly this game will never become rare or highly valuable, but its a secret treasure for me to own a complete set of the game because I enjoy it that much! 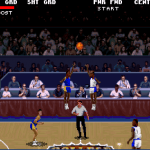 Still to this day I enjoy (win or lose) firing three pointers from the other team’s goal just to see whether I can get them to fall or not. 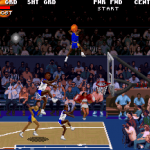 NBA Jam has all the big names, but College Slam has the perpetual starry-eyed heart and determination it takes to make it to the big time. at didn’t win it all.